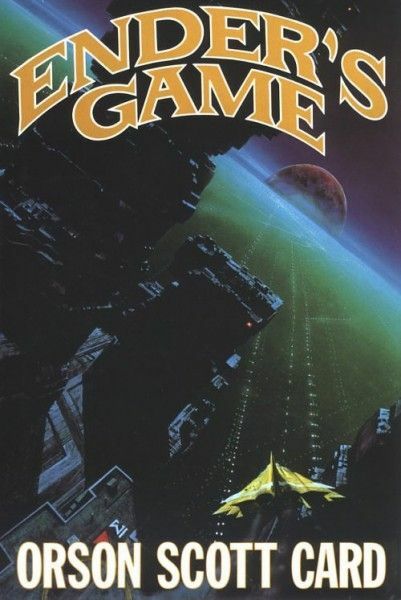 Inventions dreamed up in science fiction novels have preempted the availability of practical technology numerous times (ie submarines, military drones, the internet); Ender’s Game is no exception. Author Orson Scott Card wrote about multimedia tablets, the power held by the written word on the internet and electronic monitoring devices in his 1985 novel. These things are, more or less, commonplace today. So it’s fitting that these new images from the Ender’s Game film production show this technology not as obtrusive, but as practical. 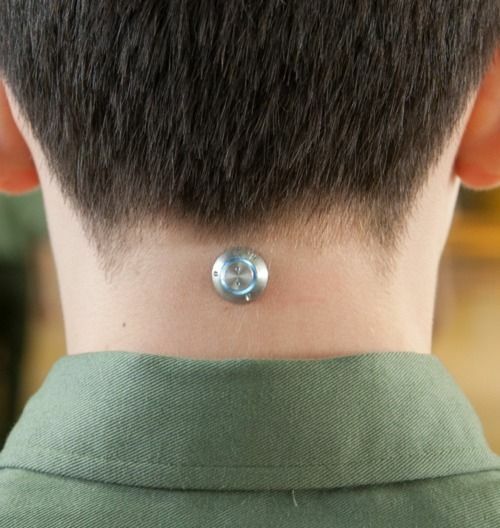 One of the understated but necessary devices is “the monitor,” an implant that connects Andrew “Ender” Wiggin to his overseers. We’ve got a first look at that piece of technology, as well as more images from the production for you to check out. 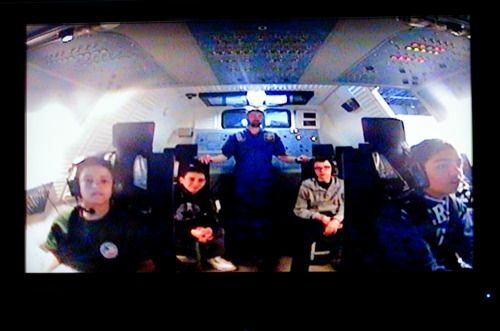 Ender’s Game, starring Asa Butterfield, Abigail Breslin, Harrison Ford and Sir Ben Kingsley and directed by Gavin Hood, opens November 1st, 2013. Hit the jump to check out the new images. In the near future, a hostile alien race (called the Formics) have attacked Earth. If not for the legendary heroics of International Fleet Commander, Mazer Rackham (Ben Kingsley), all would havebeen lost. In preparation for the next attack, the highly esteemed Colonel Graff (Harrison Ford) and the International Military are training only the best young children to find the future Mazer. 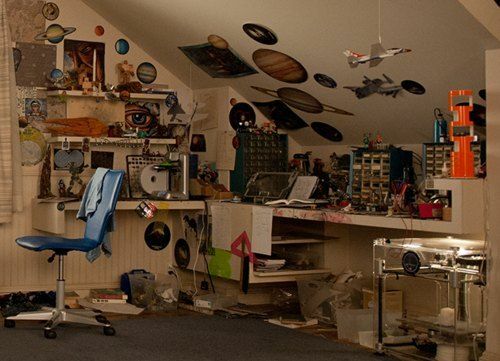 Ender Wiggin (Asa Butterfield), a shy, but strategically brilliant boy is pulled out of his school to join the elite. Arriving at Battle School, Ender quickly and easily masters increasingly difficult war games, distinguishing himself andwinning respect amongst his peers. Ender is soon ordained by Graff as the military’s next great hope, resulting in his promotion to Command School. Once there, he’s trained by Mazer Rackham, himself, to lead his fellow soldiers into an epic battle that will determine the future of Earth and save the human race. Based on the best-selling, award-winning novel by visionary author Orson Scott Card, ENDER’S GAME stars Harrison Ford, Ben Kingsley, Viola Davis, Asa Butterfield, Hailee Steinfeld and Abigail Breslin. Also, check out this post over at Ender’s Ansible, which breaks down the interesting things found in Ender’s room, including what looks like a 3D printer and a possible model of an alien fighter ship.